They're the size of a double-decker bus — but they're also so gentle. 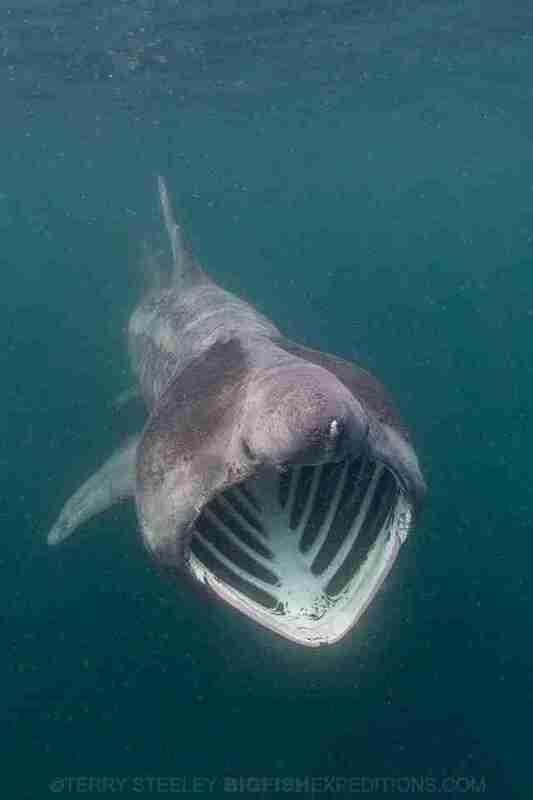 At first glance, basking sharks look a little scary. Not only are they humongous, but they have big, gaping mouths that look as if they can gobble up anything. 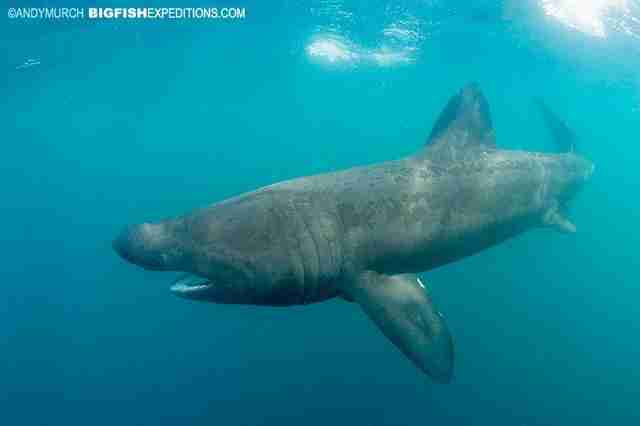 But the basking shark’s frightening appearance is misleading — in reality, they’re the gentle giants of the ocean world. 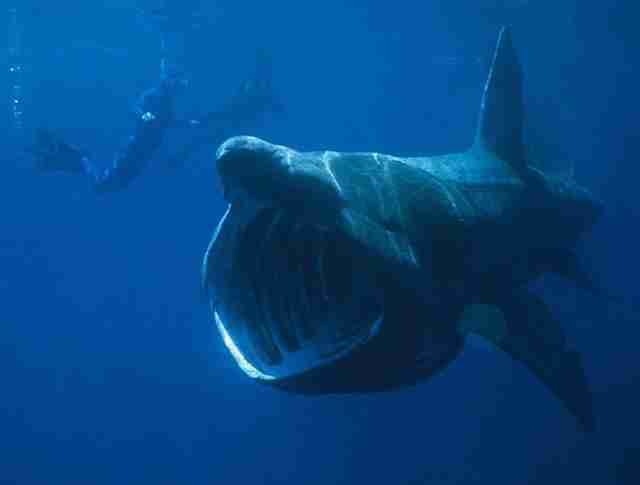 Basking sharks have big mouths for a good reason — they use them to strain plankton from the water, which is how they eat. They also get assistance from the tiny, hook-like teeth that line their mouths. The size of basking sharks is also notable — they’re the second largest species of fish in the world, and their proportions have been compared to a double-decker bus. They can grow up to 40 feet long and weigh 21 tons. 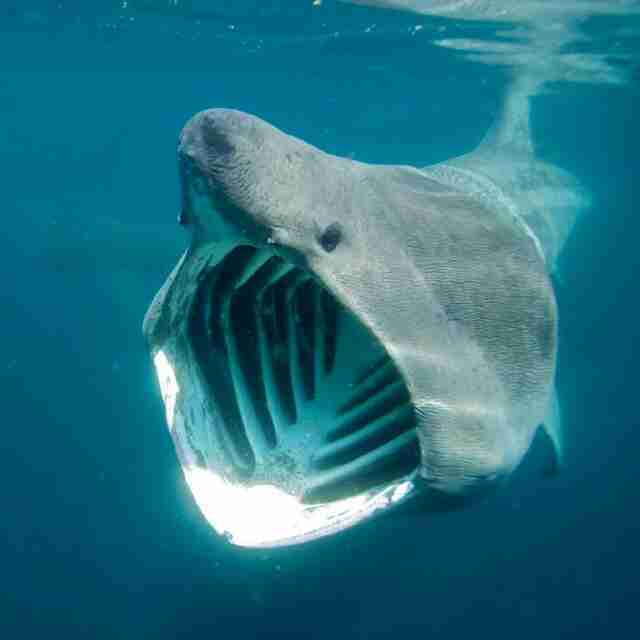 Female basking sharks are bigger than males, Crowe explained. 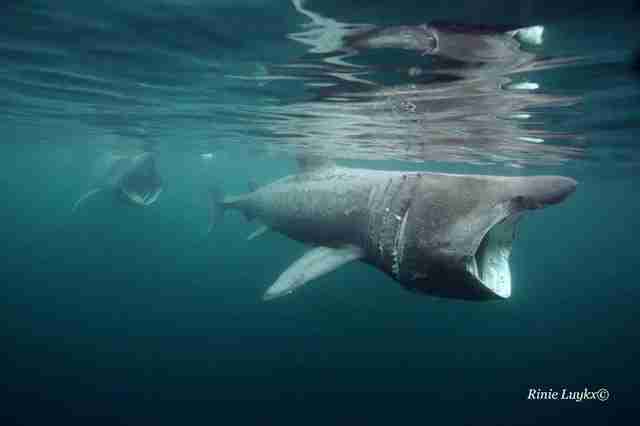 Most kinds of sharks live alone, yet people have sighted large groups of basking sharks swimming together. 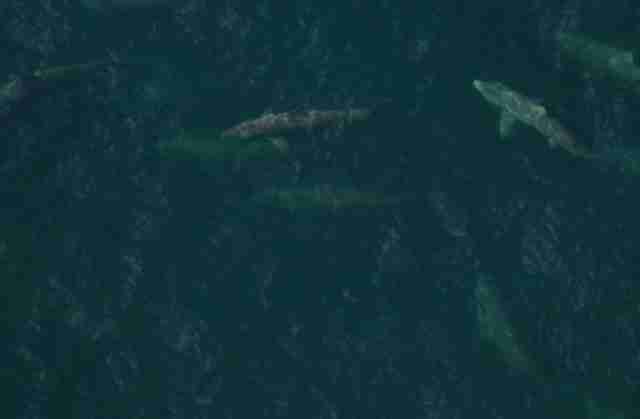 Crowe, who wrote a paper on the subject, explained that as many as 1,400 basking sharks have been spotted in a single group. 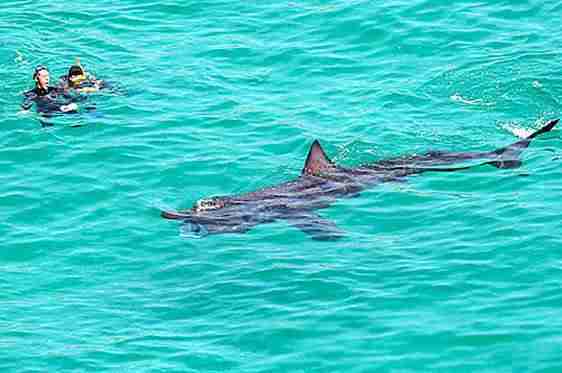 Basking sharks also have dorsal fins that look pretty similar to the dorsal fins on great white sharks — and this may cause panic for anyone observing a basking shark from the water’s surface. “Some people do get pretty intimidated when they see that dorsal fin breaking the surface because it could be a great white,” Crowe said. While basking sharks have lived in the oceans for about 30 million years, their populations are decreasing due to global fishing industries — sometimes they’re hunted for their meat, oil, skin or fins; other times they’re accidentally caught in fishing nets as bycatch. In the past, the Canadian government even deliberately slaughtered basking sharks, believing them to be “pests” who destroyed fishing gear. But it would be a shame to lose these mysterious animals, and Crowe says that there's still a lot to learn about them.